Explore the magnificent Outer Reef in half a day with Calypso. 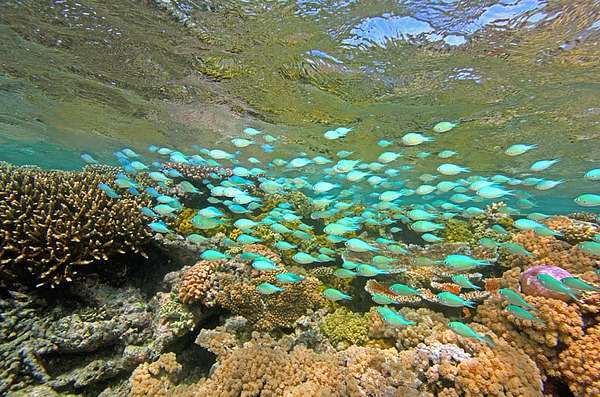 Travelling past Low Isles, you will visit one reef site showcasing the beauty and diversity of this natural wonder. 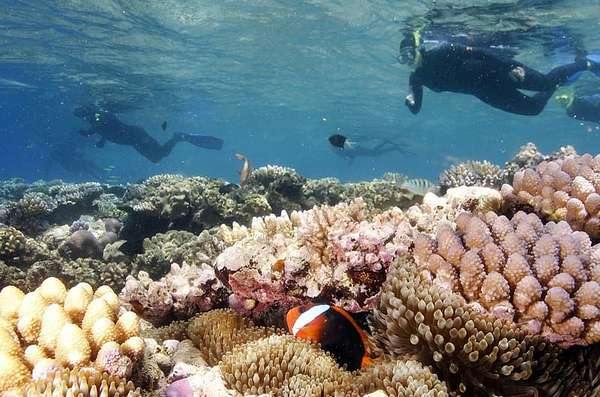 See untouched reef teeming with spectacular marine life while snorkelling. 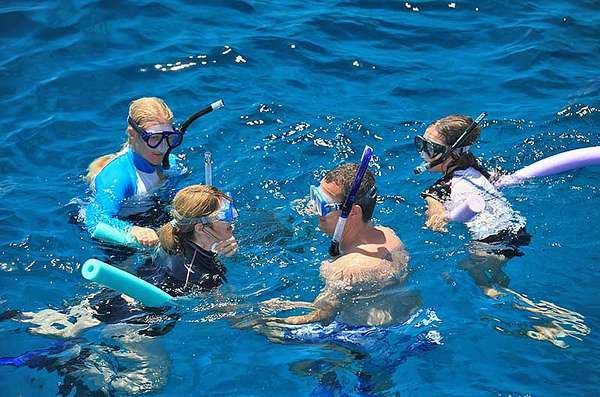 All snorkelling equipment is provided on board including prescription masks, flotation devices, wetsuits and lycra suits. Our comfortable, spacious vessel travels to the Outer Reef allowing close to two hours of snorkelling directly from the back of the vessel. Access to the reef is very easy with a submerged platform where guests can get accustomed to the water before venturing off to discover the underwater world. 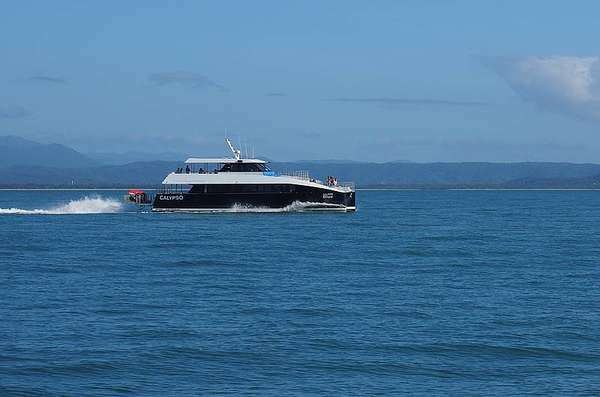 This tour is perfect for visitors who have limited time and want to explore the Outer Great Barrier Reef. Guests make their own way to The Reef Marina for their scheduled departure. Drinks and snacks can be purchased on board. Calypso Reef Charters and Safari Tours (trading as Tropical Journeys) and/or its owners and operators do not accept any responsibility (whether in tort contract or otherwise howsoever) for any injury to, or death of, any of its passengers whether during embarking, carriage, in-water activities, external tour activities, disembarking and whether caused by negligence or otherwise howsoever of any of its servents or agents and liability for all claims or demands whatsoever in respect of all injuries or death howsoever caused is hereby excluded. Further, no liability, either express or implied, will be accepted for the loss of or damage to luggage/equipment carried by Calypso Reef Charters and/or Safari Tours.